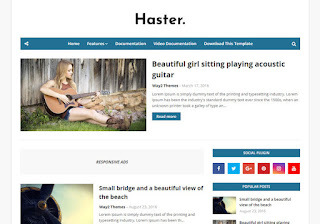 Haster Blogger Template is one of the best matched and suitable template for news blog, newspaper blog, magazine blog or review sites blog. 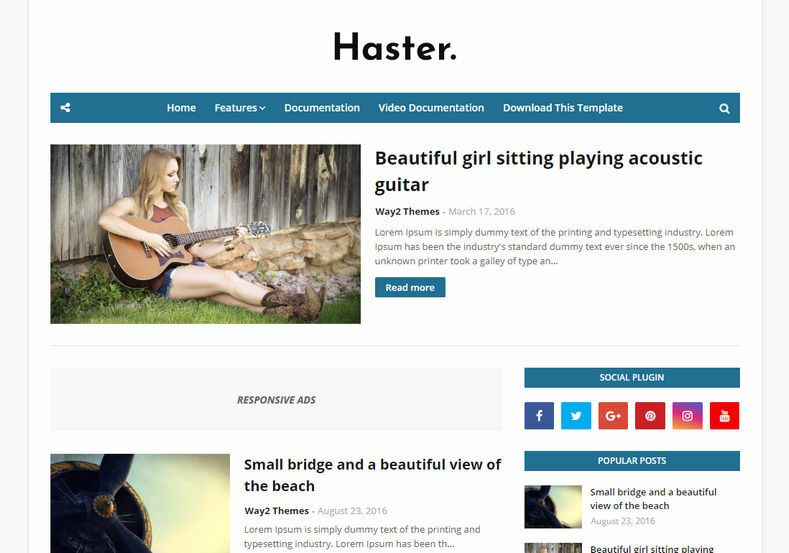 It’s very fast to load, and has a surprisingly clean coded and minimal design look that’s ideal for perfect Blog or Magazine sites. Each and every element has been 100% tested to ensure it adapts to modern responsive smartphones and tablets. This template is SEO-ready and provides a great and unique platform to achieve super high search engine rankings for your website.